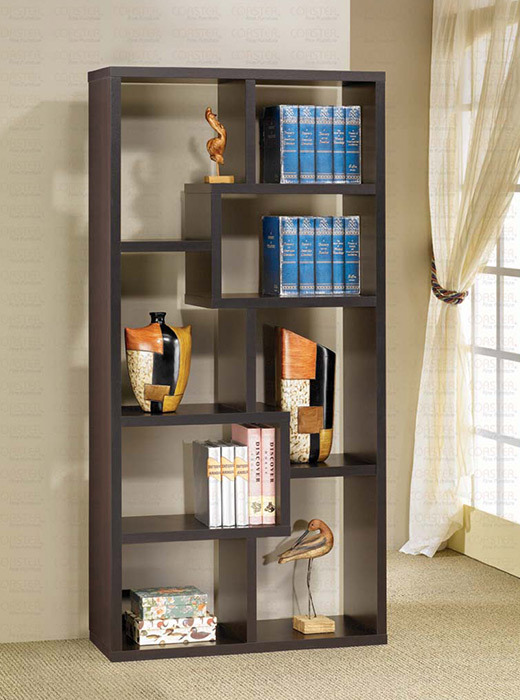 A contemporary bookcase in deep Cappuccino. Backless with an asymmetrical design. 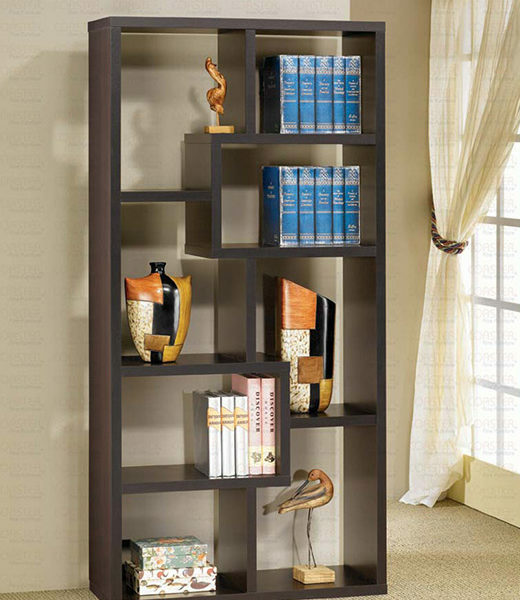 Eight compartments in various sizes.